These clowns moved us from the SE to New England. Our stuff went into storage, which we need to extend because of a delay in getting into our house. We cal;led to schedule the delivery and had to leave a message. Nobody answered, which is like that most of the time. We then get a message saying " the truck is loaded, we'll be there in a couple of days!" A whole week earlier than we can move in. Absolutely not a care in the world to them. The trucks loaded, it's coming. Or they can dump it back in the warehouse and we can go to court to get it released. So now it's coming a week early. Getting put into someone's garage. No set up, no unpacking no bed assembly and no reduced price. Also either cash or postal check (same as cash) or they won't unload. Now I have to pay somebody else to load it and move it and unload it. Any conversation with them turns into a circle jerk. Dave can make up lies faster than anybody I've dealt with. Before the conversation is over, he contradicts his original lies with new ones. Almost comical. He claims to have a recording of all phone calls and has clear evidence that we requested the wrong date. But he can't let you hear it for any one of several ridiculous reasons. Worst decision ever, choosing Progressive Relocation. Run, don;t walk, to somebody, anybody else. Doing business with Progressive Relocation was a very smart decision. Many thanks for turning my move into a seamless experience. They helped me take apart my furniture and reassemble it at my new home. I had absolutely nothing to worry about. Having them around was somehow reassuring and comforting as I knew that they had everything under control. No missing or lost items and the movers were so friendly and polite. They made me feel better about the move actually, as I was stressed out and nervous all the time. Best moving company I've ever used. NEVER EVER hire this company!!! Do not become a fool I was to believe their lies and to give them deposit!!! They call you with intentionally low estimate. They take your deposit right away, and you are used goods for them after that. They never contacted me back, I always had to initiate contact after deposit was made. I waited 17 days for their "convenient" day for the move. Just before the move they doubled the price. They kept rescheduling the move day, and then they just did not show up on the scheduled day. I waited from 10 am to 9 pm at my storage facility, I placed few dozens of calls to the company and the movers - no response, so I had to do the move myself, hiring u-haul truck and labor. And after all that they refused to return my deposit. UNHEARD of that the company in US takes deposit, does not do the job, and then refuses to refund deposit. I had to file complaint with the Florida Attorney General Office. I wish there would be a class action lawsuit against those scammers, because they created a lot of victims already, and unfortunately there will be more. So READ this and don't make the same mistake!!! They are LIARS and SCAMMERS. If I could rate them below zero, I would. Progressive relocation movers helped me move to California almost effortlessly. The moving prospect was very stressful and painful, but thanks to them I had the smoothest transition ever. They did all the packing and heavy lifting professionally and didn’t cause any damage to my goods. 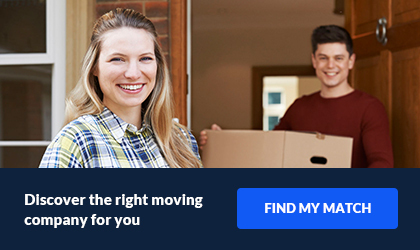 They are the kind of movers anyone could rely on completely. They planned the logistics of the move and stuck to the schedule. Also I have to mention that they managed to set a very convenient moving date. 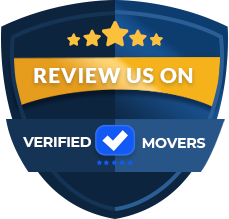 I will be glad to recommend this amazing moving company to everyone planning a household move. Progressive Relocation Systems was top notch from start to finish! Their employees went above and beyond to ensure I was a very happy customer. A family friend had sent me their information and spoke very highly of them. After the very first phone call with them, I could understand why. I have moved multiple times and have had a lot of precious items broken or damaged. I knew this time, I needed to be more selective of who I let handle my belongings. These guys were so careful and friendly. They packed, loaded and unloaded everything within a timely manner and made sure they took great care of my goods. I would highly recommend this company! Thanks to Progressive relocation I consider myself a lucky person that had a smooth move. 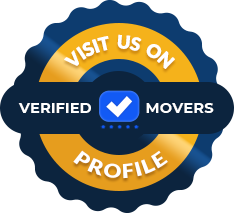 After researching several moving companies I decided to give Progressive relocation movers a shot. I knew exactly which qualities to look for in a moving company and they seemed like a perfect match. The way they coordinated each moving task was really impressive. I was stressed out a lot about the move, but they somehow managed to put my mind at ease. Working with them was a real pleasure. I will be absolutely recommending them to everyone I know! Hopefully the people who plan to move house soon will find my review helpful. Great experience with Progressive Relocation. If I could give them 10 stars, I would most certainly do that. I was organizing a large move and the entire process was overwhelming, but they did their best to make it easier. Although I was given a quote before the move, I needed to add some extra items to the inventory list on moving day and they went above and beyond to meet all my requirements. Once they unloaded my boxes we have reviewed our inventory checklist thoroughly before they left to make sure nothing was lost, damaged or stolen. These guys are hard-workers and you won’t regret moving with them! I used Progressive Relocation to move after my previous job offer fell through. I had just moved into a new city and had no idea who to use. I previously rented a Budget truck and moved myself but I knew I would need help moving back as I had to be out quickly. I called this company and they were able to schedule the movers to come finish up some packing (most of my items were still packed) and they were scheduled to return the following day to load and leave with my items. The first crew that showed up was a little alarming. They did not speak very good English and they worked somewhat slow. However, the 2nd crew that arrived was fantastic from start to finish. They were quick, professional and assured me they would communicate with me every step of the way. They did just that, I received multiple phone calls throughout the transit of my items and was given a 2 day notice before delivery. I received all of my items as expected and only had a few issues with items that arrived broken. The only issue is because I packed them, they were unable to compensate me for the damages. I was unaware of that policy until it was later explained. I would rate them a 4/5 as they worked super quick to accommodate my needs and their 2nd crew was great. I wanted to share my experience so others know how to move one for me. The first person I spoke to kind of pressured me, I fell, to go with this company. Looking at the reviews online I figured it might’ve been the best decision at that time. I had already spoken to many other companies and did not have the same sort of feedback that I found online with this one. After they took my deposit, I couldn’t get a hold of anyone for about a week, until the day before my move. This was a very stressful time for me. From their on everything went smooth. I was able to get some answers and everything that happened according to plan. Just for others who decided to use them for the future if this happens to you you’re not the only one. For the most part I am pleased with Progressive Relocation . I chose this company for their competitive price, flexibility in the pickup, and the communication. The movers were very friendly and were very patient with me while I was asking a bunch of questions. The furniture arrived in mostly good condition and I only had one item that was damaged beyond repair. I was a little upset about that but the movers were very empathetic and apologized over and over. When I called into customer service, they quickly got me all of the information for a claim, and it resolved almost immediately. I would say that this was a good service overall and I would use this company again. Doing business with Progressive relocation caused me nothing but headaches. I thought I knew how to spot a suspicious company, but obviously I was wrong. I was trying to get reasonably priced but quality moving services, since I couldn’t afford overspending. I tried to do as much as I could on my own in order to cut moving costs. When the time came to pay my movers off, I realized that I was charged some ridiculous fees. There was a long-carry fee because they needed to park the truck far away from the entrance, which, by the way, was not that far away. Also, since the elevator in my new building was out of order at the time, I ended up with those charges as well. Those unexpected charges came as a shock to me and I wish I knew about them before I signed the contract. Although they handled everything professionally these fees completely ruined my first impression. I chose Progressive Relocation to move me a couple months ago. I had high expectations for this move, and they were met. I had a wonderful experience from start to finish. Any question's I had were answered promptly by Customer Service. Overall, it was a good experience and I would use Progressive Relocation again in the future. Progressive Relocation has over ten years of moving experience. The have one of the largest mover networks in the world. The services they offer include long distance and local moving. As a full service mover, they offer packing, loading, transporting and unpacking. Their mission is to provide moving services that will fit your budget. All quotes with Progressive Relocation are free. If you need a corporate move, this might be the company for you! They customize each move to make it as seamless as possible. This company have over 1,000 representatives in all 50 states. No need to worry about not being able to get in touch. A local representative will help you along the way! There is something that Progressive offers that a lot of companies still do not. They are able to let you track your items during shipment. This will give you a peace of mind throughout the move. It is available 24/7.